Parents and children are speaking out against the blatant racism that some kids are allegedly facing at a school within Michigan’s Birmingham School District, demanding answers for the uncalled-for behavior exhibited by other students, as well as punishment. According to WXYZ, one parent, Maia Nelson, has said that she has told the school, Berkshire Middle School, about the issues her daughter and other black students have faced, but so far she has gotten no response. That is why she decided to turn to the news station. “They’re saying the n-word directly to me, or I hear them in the hallway saying it. One boy told me that black people are dumb, directly to me. 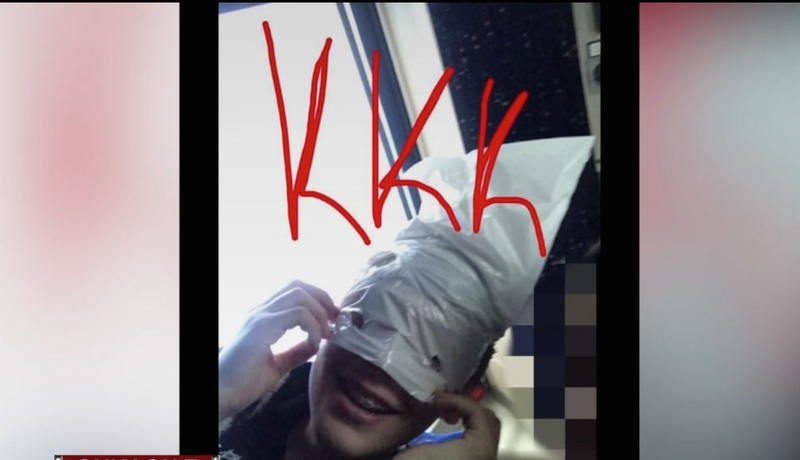 People are posting online ‘KKK’ with a bag over their head,” Morgan Hough, Nelson’s 12-year-old daughter, told the news station. Morgan has had to put up with so much racism at her school, she says, that there was a time she didn’t want to be black. “[Didn’t like] my skin, didn’t like my hair. Didn’t like anything about myself. I wanted to be white,” Morgan said. According to WXYZ, most recently, a Snapchat photo surfaced of a white student wearing a bag over his head with “KKK” written across the screen. It went viral at Berkshire. Morgan said that she thought the boy was her friend. Kennedy Banks, 13, says that she has also had to deal with racist remarks at school, a fact that reduced her to tears in front of the camera. “No child or parent should ever have to go through this,” Kennedy told the news station. Kennedy says that she confronts the students making the horrible remarks, but they often play it off as if it’s a joke. Morgan’s mother wants answers from the school district regarding the incidents, and also wants something to be done. “I want someone to be expelled. I want an example made,” Nelson said. The school district released a statement saying that it was unaware of the incidents but had begun an immediate investigation. The principal and central administrators were not aware of the events until this afternoon and we have begun an immediate investigation. We were very saddened to hear about this incident and want to be clear that this type of behavior, if confirmed through our investigation, is not acceptable. Our district remains very committed to teaching our students about good and just ways to be respectful and caring.